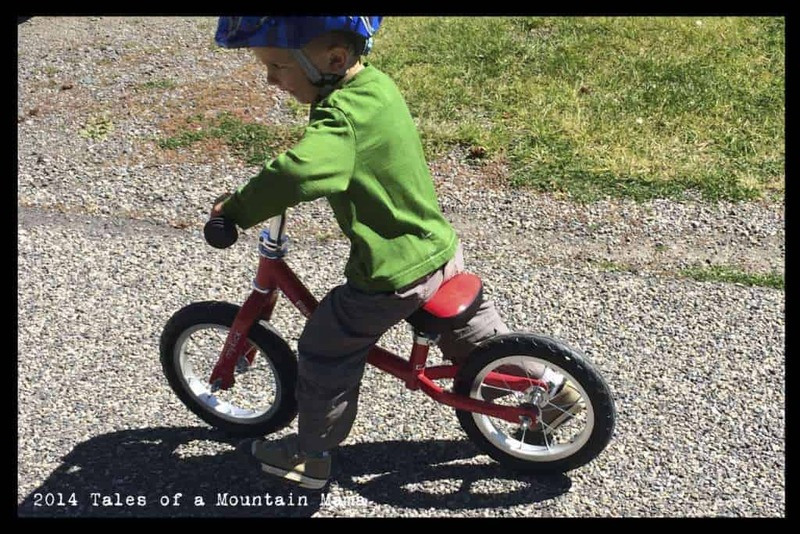 Last year Deuter made some minor, though substantial improvements to their Kid Carrier line. While we had loved the previous packs, we also were well aware of the fact that a few changes needed to be made to make them even better (you can find our review of the older version here). 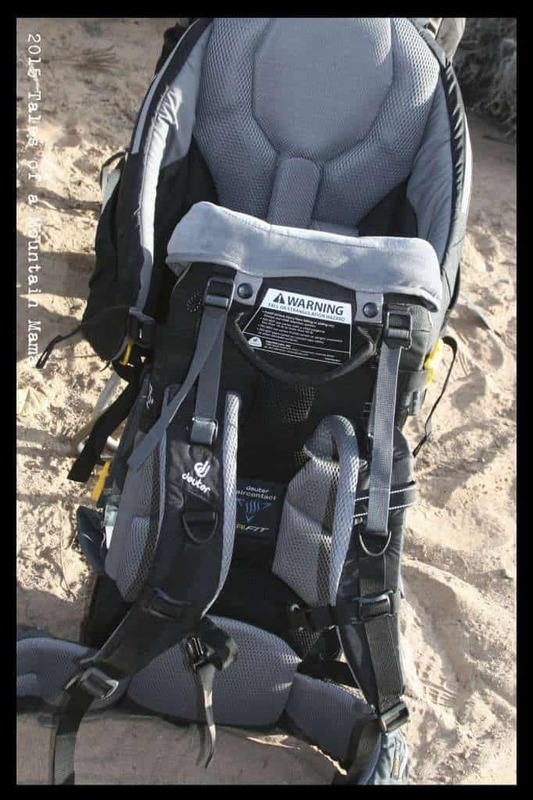 I got to the point that I actually preferred the Kid Carrier II because of the shorter back than the III, though I appreciated the extra head and neck protection that the III offered. 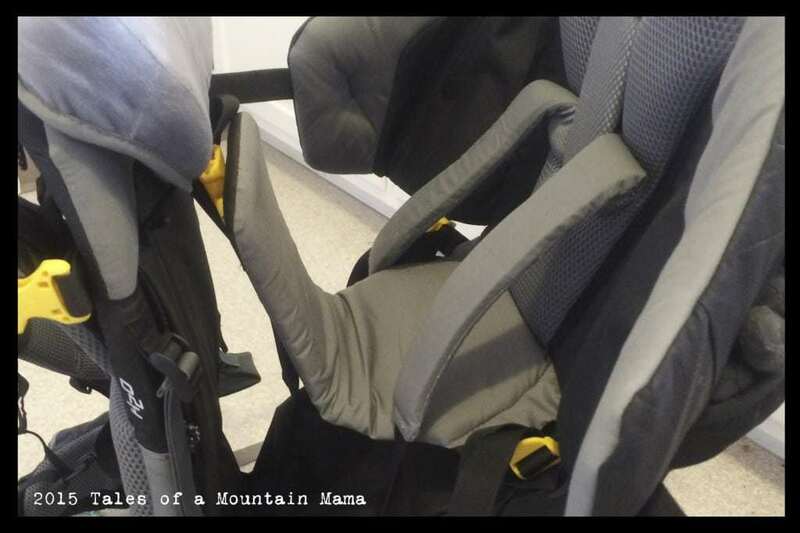 This review will cover the new and updated Kid Carrier III and also show it compared to the older version. We do this because we know that kid carriers get passed down and from family to family. Sometimes its worth making the upgrade as companies improve their products, sometimes not. That decision is personal, but I always believe in being an educated consumer, parent AND adventurer. 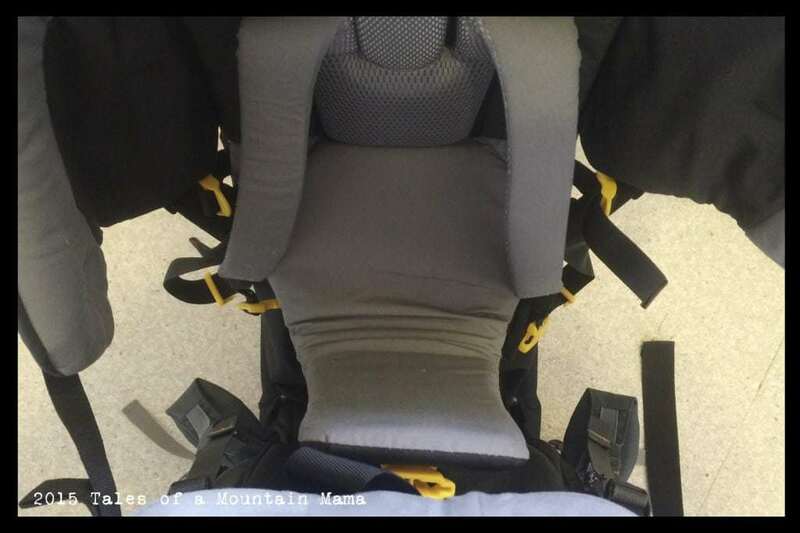 One distinguishing thing about Deuter’s kid carriers is that they proudly hold the JPMA (Juvenile Products Manufacturing Association) stamp of approval. Achieving JPMA certification means the products have been independently sample tested and verified as conforming to ASTM, state, federal and some retailer requirements. 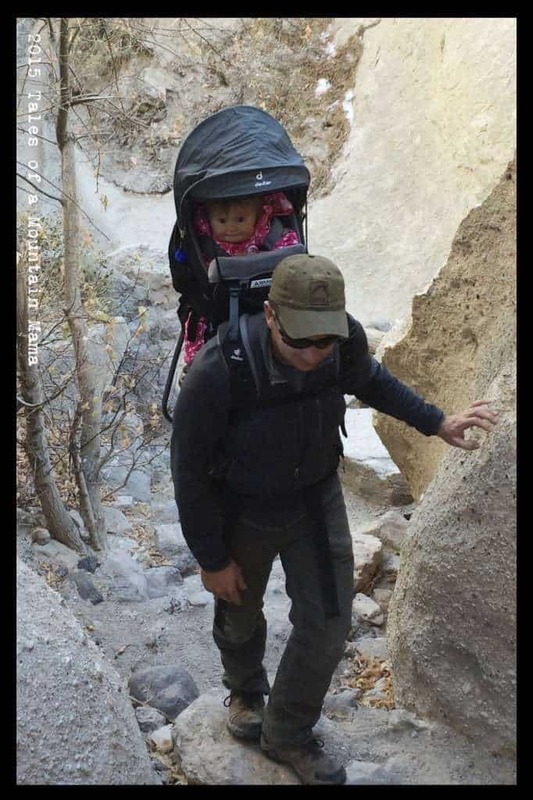 It’s the “gold seal” of approval and Deuter is one of only three companies with framed kid carriers that boasts that. It’s a big deal. The Kid Carrier III is what I call the “cadillac of kid carriers”. It has some great bells and whistles that truly are improving the function of the pack instead of just making it look good. 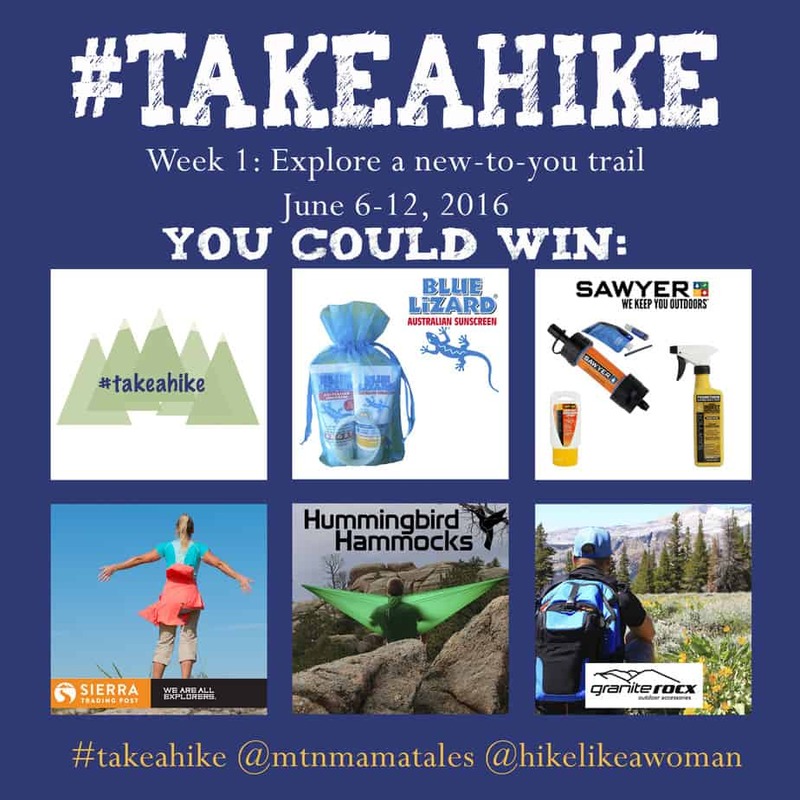 The Kid Carrier III is what I reach for 98% of the time for hiking trips. It fits me well and is comfortable and I’ve never had a kid in there that wasn’t comfortable. I trust the carrier to hold what I need it to hold and to remain comfortable for hours on the trail. That said, it is NOT the carrier I usually take skiing, especially alpine skiing (though we have in the past). 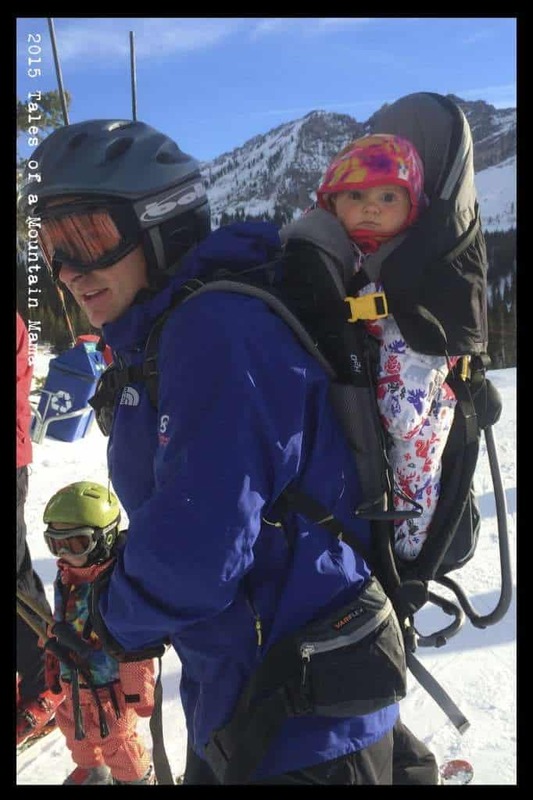 While a fall hasn’t happened yet (mostly because we take extreme caution), if it DID, the Deuter does not have any sort of “roll cage” to keep the child from being squished from your body weight. Not something I ever really worry about hiking, definitely a consideration for skiing. – Tapered hip fins also mean a perfect fit – something specific to Deuter that I personally greatly appreciate. – Vari Fit system: Incredibly easy to adjust for different wearers with just a pull of one strap – much easier and more precise than the older system. 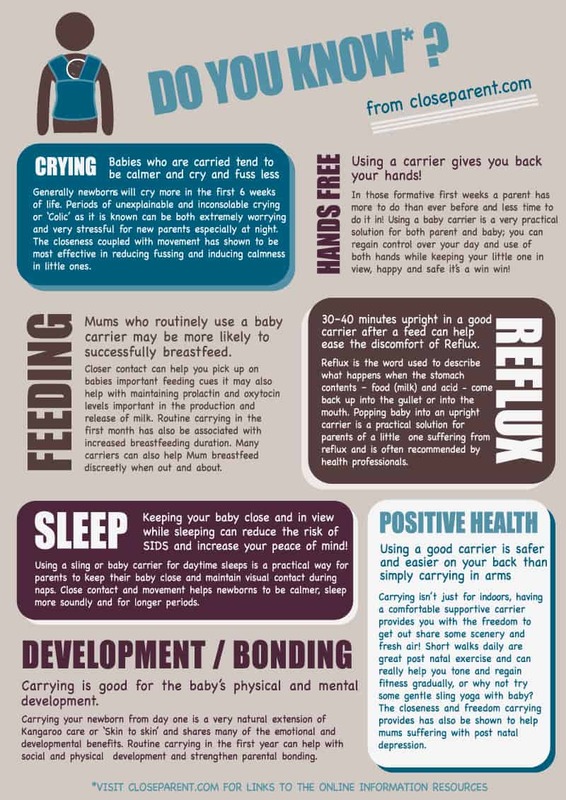 – One gripe I have about the Deuter straps for the child is that they must be buckled at about the child’s lower stomach. 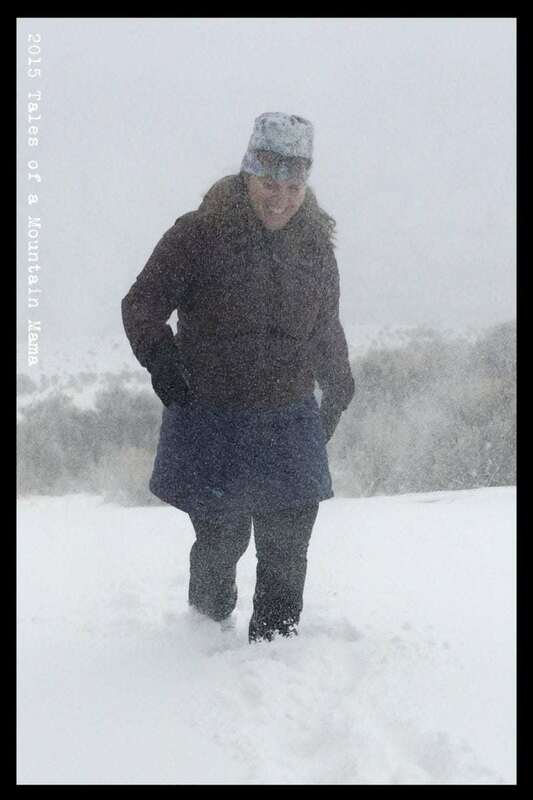 This isn’t an issue in the summer, but can be a pain in the winter when they are wearing a lot more clothing. I’d love to be able to attach them at their shoulders instead for easier access. 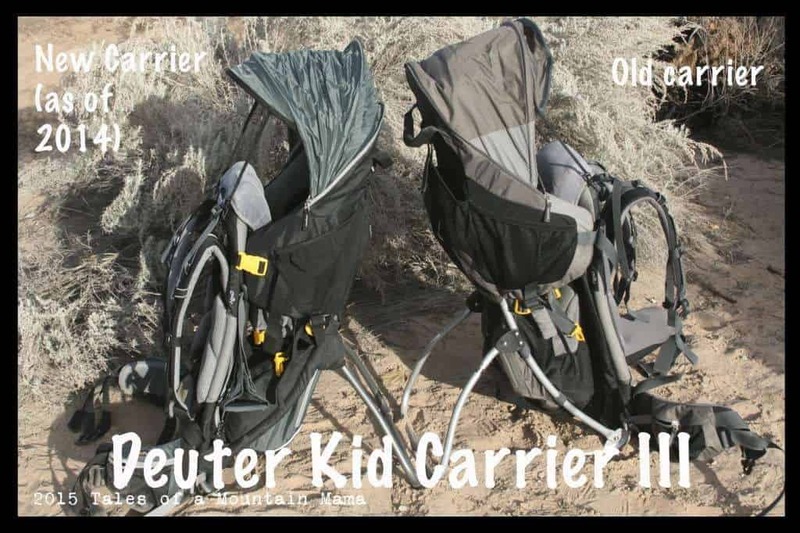 Deuter made some great improvements for their updated Kid Carrier III. While there are a couple small things I would love to see changed in the future, they aren’t deal-breakers. As I mentioned in my review, this is the pack we reach for 98% of the time due to comfort for both parties and carrying capacity. Deuter generously provided us this gear in order to facilitate this review. However, as always, the opinions expressed here are completely and honestly our own. A few of these links are affiliates. 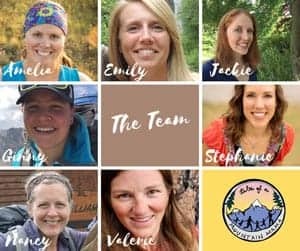 Thank you so much for clicking through them to make your purchases – it helps offset the cost of this blog in a (VERY VERY) small way! You can find my full disclosure here. Hi Mitchell – you can purchase the Source hydration bladders directly from Deuter. They’re fantastic!